Premier contemporary circus arts company presents show "Love & Gravity"
Acrobatic Conundrum, Seattle's premier contemporary circus arts company, creates exhilarating ensemble-based performances that engage and amaze audiences. The company blends virtuosic circus skill, dance, mesmerizing juggling acts, and breathtaking aerial acrobatics to create work that is poetic, a little absurd, beautiful, and deeply relatable. 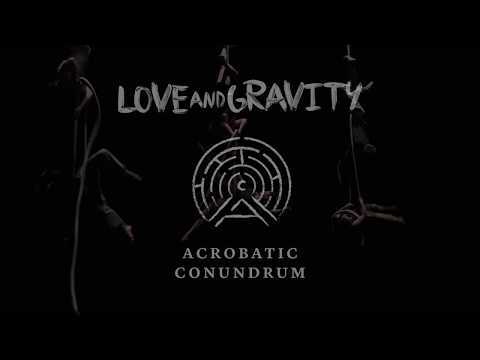 In their thrillingly beautiful show, titled “Love & Gravity”, Acrobatic Conundrum transports audiences to a captivating world seemingly free of the bounds of physics, but not free of the unpredictable struggle for human connection.